Thank You for visiting LR Eventing. Please find below the equine services offered by Laura - please do not hesitate to contact Laura to discuss your requirements further. 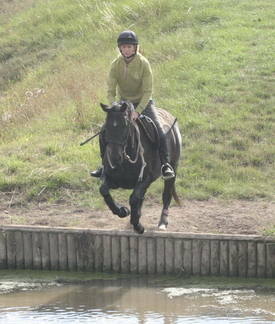 Laura is registered BHSAI & Pony Club accredited Coach available for tuition weekday afternoons and weekends. Laura is a sympathetic and kind instructor focusing on coaching you to improve you're riding, the horses way of going and achieving your equine goals. Developing horse & rider into a harmonious partnership. Over the years Laura has helped many partnerships from achieving a first canter to entering your first event. Laura is available to support you through your goals, whether that's hacking out with confidence, progressing your schooling or help on the ground/loading. Laura is always inspired by the best to be the best that she can be. Laura has spent the winter attending a series of coaching workshops learning training exercises and developing her coaching style with help from the experts: Caroline Moore & a fabulous insight in training the pro's with Kenneth Clawson! Rates £25 per 45 minute private session. A small travel fee may apply to contribute towards fuel. For loading help prices may vary please contact to discuss your individual needs. 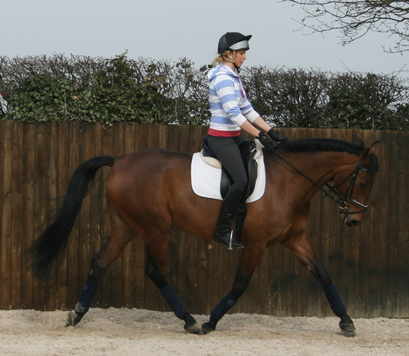 * Livery - Full / Competition / Sales / Holiday & Boot Camp Livery available. Please contact Laura to check availablity & disscuss your requirements. * House Sitting - (Subject to availability) Laura is available to keep your home and pets in tip top order while you are away. This can include overnight stay, dog walking, yard/horse duties, hacking/schooling. Laura is happy to cater to your individual needs & routine. Please contact for further details and to discuss requirements. * Schooling - Too busy to ride? No need to worry, have peace of mind that your horse will be cared for and exercised correctly to suit your individual program, from a one off rides to regular visits. (References available) Please note this is NOT re-schooling of a "problem horse" service and any vices/issues must be stated. * Yard duties - Laura is available for turning in/out mucking out / lunging etc. and again can cater for you and your horses individual needs. *Dressage Judging - Laura is available to judge at Riding clubs, BD & BE Events. 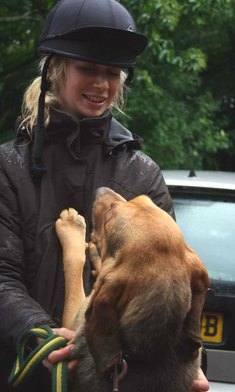 Laura has been judging for several years at local riding clubs and aims to become a listed BD judge in the future. Excellent references available and Laura has obtained her BHS Grooms Certificate & is a registered Pony Club Coach; in addition to many years' experience. Please contact to discuss your requirements or to book a lesson with Laura 07785245559 or please see Contacts page. Photos: Laura teaching a group at Bulby Hall EC * Laura & Lilly jump into the water (first time XC schooling for Lilly) * Laura schooling Princess a 4yo Dressage prospect * Laura meets a Cranwell Blood Hound Puppy!